When Hadley Richardson is twenty-eight and visiting a friend in Chicago, she meets the charming and passionate Ernest Hemingway. The two quickly fall for one another and marry with plans to move to Italy. After Hadley inherits some money, they leave for Paris under recommendation from a friend. In Paris, Ernest becomes acquainted with other writers who take him under their wings. As his writing becomes recognized and his confidence grows, Hadley feels like she will always be on the outside. While she makes sacrifices for the sake of her husband’s work, Hadley begins to feel distanced from her genius husband. In the end, Hadley is the first of a long string of wives for Ernest. Was she just the Paris wife or did their relationship mean something more? This book is a tricky one to review because as a whole it was quite solid. Some books I like and I could talk about them for ages, while others I liked just as much but there isn’t very much to say about them. The Paris Wife is the latter, and it was actually recommended to me by my Grandmother. The Pairs Wife is the story of Ernest Hemingway and his first wife, Hadley Richardson. I knew very little about Hemingway and his novels when I started reading this book, and I don’t think that you have to be familiar with him to enjoy The Paris Wife. This book is historical fiction, but it was easy to become so caught up in the story that I’d feel like I was reading a memoir for a moment or two. The author’s prose is quite lovely, and the writing was smooth and well phrased. I wouldn’t be surprised to see this made into a movie in a few years time, since it’s so easy to picture the events of the book taking place on the screen. You could tell that a lot of care went to into the details of this book, although I don’t know enough to vouch for the historical accuracy. Of course, this is fiction so you can’t expect it to be a perfect reflection of the past. 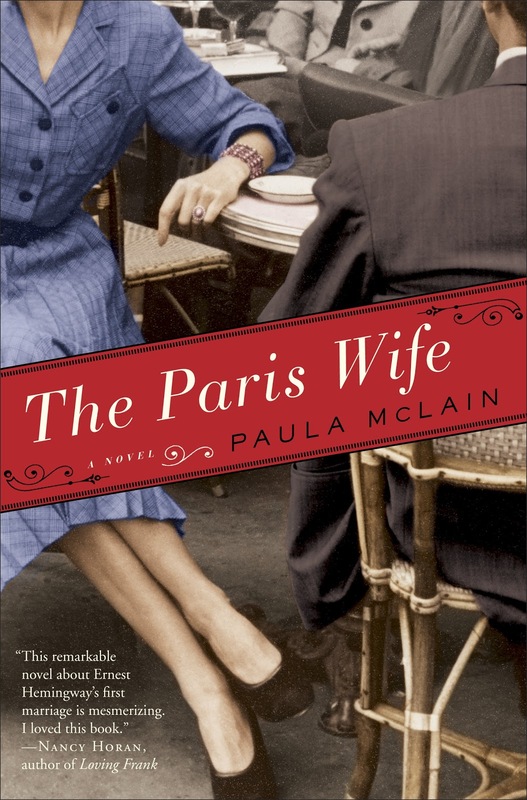 McLain captured Paris in the 1920’s beautifully, and I loved reading about ‘the lost generation.’ The main character became a bit unlikable and too dependent on her husband as the novel wore on and I was especially frustrated with her submission towards Ernest. However, I think the writer did a good job of explaining the reasons behind Hadley’s actions, such as her domineering mother. We are introduced to a cast of colourful characters, including F. Scott and Zelda Fitzgerald and Gertrude Stein. As a portrait of the jazz age and the many writers featured in this book, The Paris Wife was an enjoyable read that might whisk you away to the past.